Posted by Ann in Fiction, New Books, Thrillers. If August 3rd is a Monday, there must be a new James Patterson book being released. 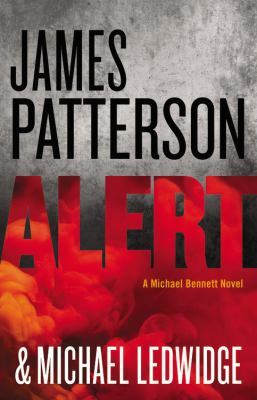 Alert by James Patterson and Michael Ledwidge is an explosive, action-packed thriller set in New York City featuring Detective Michael Bennett. We’ll have copies in regular print and large print waiting for you on Monday; just add your name to the holds list TODAY!